Rajasthan Police Constable Recruitment notification 2018 is something which is considered very prized and special and people are trying very hard to get into the Rajasthan Police Department. But here at govtjobindia.com, we are here to give you the edge over other people and guide you exactly how you need to study for the Rajasthan Police Constable exam. 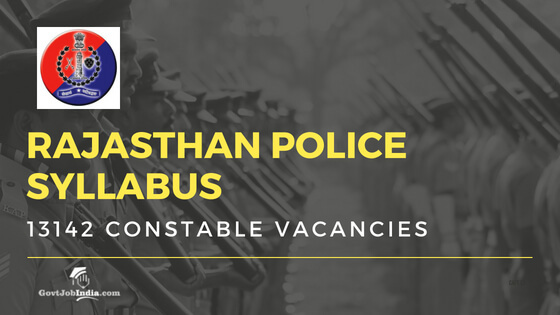 You can either refer to this article given or download the PDF for each of the Rajasthan Police Department RJP Online Recruitment. You can also refer to Rajasthan Police Constable Exam Syllabus pdf which will guide you if you want to prepare for the exam in depth. The study material given for the Rajasthan Police Constable Syllabus 2018 & Raj Police Constable. 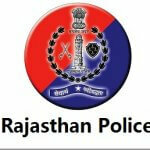 You can find the detailed account on the official website police.rajasthan.gov.in. We have also given the Rajasthan Police previous year’s papers and revision tests for practice and thorough review. The recruitment notification which came out a few days ago has been posted on our site. You can check it out by clicking on the link given below. The basic details of the eligibility, salary scale, selection procedure, application fee, form and procedure are given on the link. Check it out for more details. The selection process of the Rajasthan Police Constable recruitment is given below. In the later parts of the article, we have elaborated each and every part of the 4 parts given below. We have given the exam pattern according to the last years’ portion. Mostly the portion and paper pattern will be the same. So, candidates are advised to wait till the Rajasthan Police Constable Recruitment notification comes out. Note: Candidates must secure a minimum of 36% in each paper and 40% aggregate to qualify for the next level of selection. Applicants belonging to SC/ST category will get relaxation of up to 50 marks in each paper and in the final aggregate. Candidates who clear the written exam will be called for the Physical Efficiency Test. A proficiency test which will be inclusive of the below mentioned practical tests will be conducted. The subject of the test will be vehicle maintenance and vehicle driving. The main subjects of the Rajasthan Police Constable are General Aptitude, Reasoning, Rajasthan GK, and Social Science/Science/Current GK. So you can check out the syllabus given in each of the subjects and cover them according to your ease. Hope this article was helpful for the Rajasthan Police constable syllabus 2018. If it was, then make sure to check out the recruitment notification as well. Also comment down below if you have any doubts related to this post and we will get back to you as soon as possible.